 I recommend these Keenist-Approved Products to my clients, friends and family because I trust and use them everyday. We’re all about maintaining a healthy gut here at Keenist and taking a probiotic supplement plays a key role in this. But not all probiotic supplements are created equal! MegaSporeBiotic is a spore form pharmaceutical-grade probiotic which has been proven to survive the stomach’s harsh environment and arrive to the intestines alive. The specific strains impede the growth of pathogenic bacteria and yeast, while strengthening the immune system and producing essential nutrients and antioxidants in the gut. MegaSporeBiotic doesn’t require refrigeration which makes it easy to travel with! Ayurveda’s most highly acclaimed adaptogen, ashwagandha is a great herb for boosting immunity, enhancing athletic performance, supporting adrenal and thyroid function and relieving stress. I like Lifespa’s ashwagandha because it’s organic and in capsule form which makes it easier to incorporate daily! This is my favorite herbal formula for crushing sugar cravings and supporting blood sugar balance. The main ingredient in this formula dulls the ability of the taste buds to recognize the sweet taste and dulls the intestinal tract from absorbing simple sugars. It works to decrease desire for sweets as well as encourage the body the burn fat instead of sugar for fuel. This tea combines organic slippery elm bark, marshmallow root and licorice root to support a healthy microbiome and optimal digestive health. I use it in the treatment of a variety of digestive issues such as constipation, loose stools, heartburn, etc. These herbs work together to lubricate, soothe and protect the intestinal tract. They are also forms of prebiotic fiber which nourishes the gut’s beneficial bacteria. This is the most popular supplement in my practice. It combines the Ayurvedic bowel-toning herb Triphala with other key herbs to support regular bowel movements. It is not a laxative and not habit-forming. Instead, it softens and lubricates a dry intestinal wall and strengthens the bowel muscles to effectively support elimination of waste. This is a great product for the estimated 80% of adults who are magnesium deficient. This important mineral can be a game changer for relieving stress and promoting deep, restful sleep! The citrate form of magnesium is also useful for those who are prone to constipation as it supports regularity. Nutrient-depleted soils, high-stress lifestyles, toxic environments and gut issues make it difficult for your body to get the nutrients it needs from food alone. A high-quality multi-vitamin/mineral supplement such as this one is great for filling in nutritional gaps in a generally healthy diet. Thorne’s Basic Nutrients deserves recognition because the vitamins and minerals are in the most absorbable forms, in contrast to many other brands which use synthetic forms. Omega-3 fatty acids are important for maintaining healthy cell membranes, supporting a strong immune system and lowering inflammation in the body. All omega-3 fish oil supplements are not created equal as many can be high in heavy metals, pesticides and PCBs. I recommend this fish oil supplement because it’s 3rd party tested for purity and molecularly distilled to remove contaminants (such as mercury, etc.). Vitamin D is our ‘sunlight vitamin’ however most of us are inside all day and have few opportunities to get sufficient sun exposure to prevent vitamin D deficiency. I like this supplement because the liquid form allows for customization of proper dosage. Also, it’s important to combine vitamin D3 with K2 because they work together to protect muscle and bone health, as well as cardiovascular and immune function. I guide many of my clients through a gentle, whole food liver cleanse while working to heal skin conditions (i.e. acne) and hormonal imbalances. While I use a food-first approach to cleansing, the herbs and nutrients included in this supplement support liver detoxification and repair, enhancing the benefits of the cleanse. I’ve tried ALOT of plant-based protein powders in my day and most of them are grainy, gritty and/or chalky! This is the only vegan (pea and rice) protein powder that works well in a smoothie or even mixed with water. Additionally, it contains only 2 grams of sugar per serving which is very low compared to most other brands! 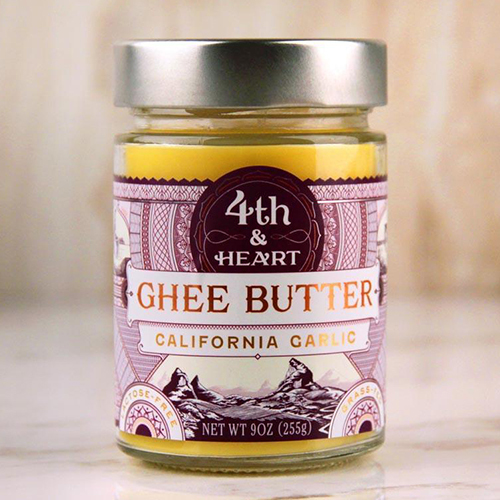 Ghee is clarified butter, meaning the milk solids (and therefore the casein and lactose) have been removed, which makes ghee a great alternative for those following a dairy-free eating plan. The garlic ghee is awesome for infusing flavor when you’re too lazy to chop fresh garlic! These noodles cook in 2 minutes so they’re a go-to for quick weeknight meals. Shirataki is Japanese for yam starch which is full of prebiotic fiber, aka food for the beneficial gut bacteria. I think they're called Miracle Noodles because it's a miracle they're only 10 calories per serving! I typically like to make bone broth from scratch, however this is a fantastic store-bought option. Rich in natural gelatin, bone broth is one of the best gut-healing foods out there! Use in soups, curries, stews and crock pot meals. Kettle & Fire has chicken and beef bone broths - both are delicious! 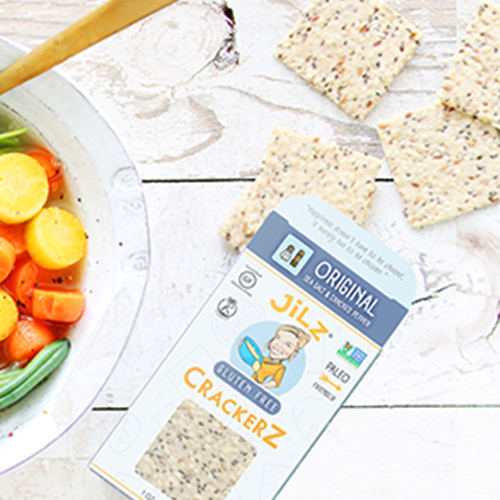 Gluten-free and paleo, these crackers are crunchy, delicious and full of protein and healthy fats from nuts and seeds. Dip them in hummus, guacamole, pate or serve them alongside soups or anywhere you want to add some crunch. This is the only canned coconut milk I’ve found without guar gum in the ingredients. It’s deliciously creamy and perfect for curries, soups, smoothies and adding to tea or coffee. MCT oil is my favorite healthy fat for adding to smoothies, tea, coffee and using as salad dressing. It’s known for its ability to suppress appetite, boost metabolism, promote mental clarity and support the immune system. I only use/recommend Bulletproof’s Brain Octane Oil because it converts to ketones much more rapidly and is easier on digestion. I always recommend having canned salmon in the pantry for an easy protein source. Combine with Primal Kitchen mayo, lemon and salt and plop on top of a handful of salad mix, or roll up in a collard green wrap (recipe in my cookbook! ), for an omega-3-rich lunch. Made from coconut meat, these wraps are can be used as gluten- and grain-free alternative to flour-based wraps and tortillas. Keep them in the pantry for a quick weekday lunch option. Roll up some smoked salmon, avocado and sprouts, or hummus, veggies and a fried egg. With 15 grams of protein from grass-fed collagen and only 3 grams of sugar, this is one of my favorite gluten-free and paleo protein bars to get the job done when a real meal isn’t possible. Macadamia sea salt flavor is my jam! I used to think mayo was gross until I found this one! Conventional mayo actually is gross because canola oil is the main ingredient. Primal Kitchen uses anti-inflammatory avocado oil, along with free-range eggs, to make this creamy condiment. Matcha green tea is my go-to antioxidant-rich morning beverage. With the help of caffeine and amino acid, L-theanine, matcha provides a mental and physical boost without the crash! I love these single serve packets for travel and bringing to the office. 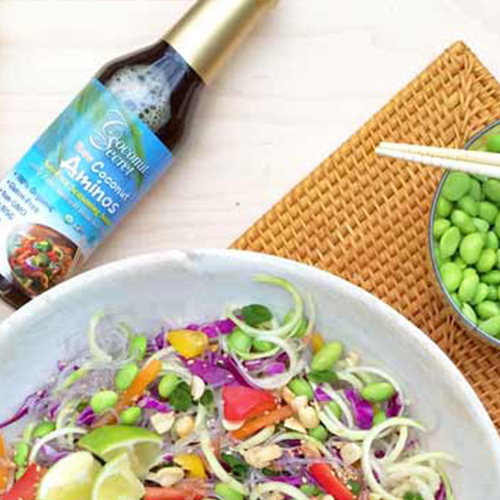 A gluten-free soy sauce alternative, I love using coconut aminos to add some salty sweetness to stir fries and simple sauces. Those who are avoiding soy can use it for dipping their sushi rolls in. Monk fruit is a natural, plant-based, fructose-free, zero-calorie sweetener that does not elevate blood sugar or insulin. Lakanto blends monk fruit with erythritol (a sugar alcohol that doesn’t cause gas/bloating like the others!) to match the sweetness of sugar so you can use this as a 1:1 sugar replacement in baking and cooking. I love the Golden one as it tastes like brown sugar, but they also offer Classic White. Gomasio is a delicious Japanese seasoning made by blending dry toasted sesame seeds and salt. I love the seaweed version because it sneaks in some mineral rich sea vegetables, such as kombu, dulse and nori, into your diet. Use Gomasio on soups, salads, rice, veggies, etc. Using this seasoning daily is perfect in the second half of your cycle for my ladies practicing seed rotation! If you love the taste and smell of coffee but the caffeine hypes you up too much, Rasa Koffee is your new morning pick-me-up! 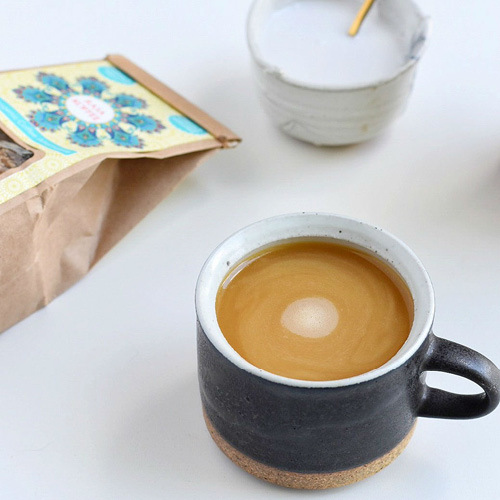 This energizing, caffeine-free coffee alternative is made from detoxifying roots (chicory, burdock and dandelion) and loaded with adaptogenic herbs that help to restore your adrenals, improve your sleep and reduce the impacts of stress on the body. I love it for the deep roasted taste plus the mental and physical boost without the crash! You can steep Rasa Ground in a French Press just like coffee. It's delicious hot or cold, with almond or coconut milk or Bulletproofed. Coffee has a bunch of health-promoting properties such as antioxidants and polyphenols, but it is one of the most heavily pesticide-sprayed crops in the world. It can also contain high levels of harmful mycotoxins (aka mold). Bulletproof ensures that their coffee is farmed without chemicals, screened and tested for toxins and roasted in small batches in the U.S.
Monk fruit is a natural, plant-based, fructose-free, zero-calorie sweetener that does not elevate blood sugar or insulin. Unlike stevia, is has no bitter aftertaste and can be used to gently sweeten coffee, tea, etc. Five drops is all you need! 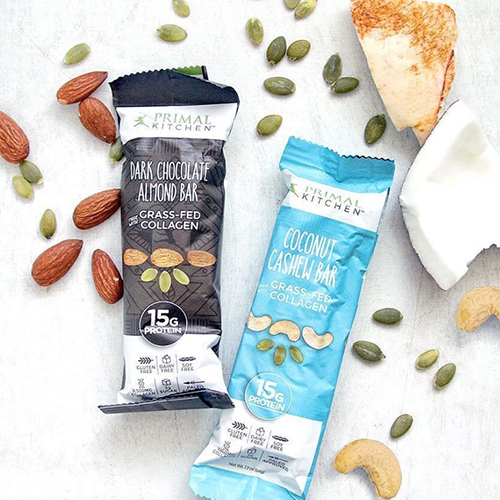 Collagen protein (12g) from grass-fed cows, quality fat from Brain Octane oil and super low in sugar (2g), these gluten free bars are a fantastic snack and seriously yummy. They come in delicious flavors like café latte, chocolate chip cookie dough, lemon cookie, fudge brownie and – my favorite – vanilla shortbread. I always have one of these bars in my car, purse, ski jacket pocket, carry on luggage, etc…just in case! Screens of smartphones, tablets, computers and TV emit a blue wavelength light that disrupts circadian rhythm and decreases melatonin production, causing sleep disruptions. If you spend time on screens in the evening, I recommend wearing blue light blocking glasses to reduce blue light exposure after the sun goes down. These have been lab tested to block 95% of blue light and are less dorky-looking than many of the others I've tried! The lymphatic system is like the drains of the body. If it gets congested, it loses the ability to remove waste efficiently and, in turn, our detoxification and immune systems become compromised. Dry brush your skin before your shower each day to stimulate circulation and lymphatic drainage. Check out a video on YouTube for how to do it! Ayurvedic oil massage, aka abhyanga, is a wonderful practice to do on its own or after dry skin brushing for anyone experiencing vata imbalances and/or lymphatic congestion. It calms the nervous system, stimulates lymphatic flow, increases oxytocin and feeds the skin microbiome. I love this massage oil because it's fortified with a bunch of Ayurvedic lymph-moving herbs. Reducing exposure to endocrine-disrupting chemicals is a big part of creating a healthy lifestyle. What we put on our skin gets absorbed into our bloodstream so I recommend switching over to non-toxic personal care products whenever possible. I’ve tried many natural deodorants and most of them just straight up don’t work. 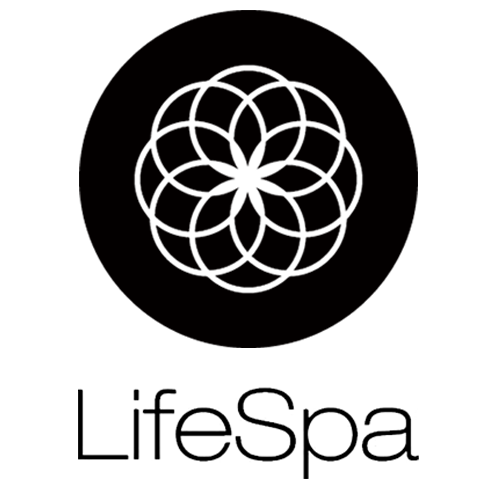 Fat and the Moon’s deodorant cream is legit - it’s aluminum-free, paraben-free, sulfate-free, stops smell and won’t stain your clothes. The best one I’ve found! Oil pulling is an Ayurvedic cleansing method that involves swishing oil around in your mouth to help pull toxins from the system, strengthen the gums and naturally whiten teeth. To do it, place 1-3 teaspoons of Swish oil in your mouth. Swish and pull the oil around the inside of your cheeks and between your teeth. Continue for 5-20 minutes. Do NOT swallow. When you’re finished, spit out the oil in the trashcan (not in the sink), rinse your mouth with water, scrape your tongue and brush your teeth. Scraping the tongue each morning is an Ayurvedic technique used to clean bacterial build-up, fungi and dead cells from the surface of the tongue. This helps to not only clean the mouth and freshen your breath, but also it increases taste sensation and stimulates the metabolism. To scrape your tongue, hold the two ends of the tongue scraper in both hands. Stick out your tongue and place the tongue scraper at the very back of your tongue. Pull the scraper forward gently. Make sure to cover the whole tongue so that it removes the unwanted coating. Then rinse the tongue scraper under water. Repeat this practice about 5-7 times, or until no coating is left. My go-to tea device, this carafe makes it super easy to brew loose leaf herbal tea, take it with you on the go and re-brew multiple times. All you have to do is add 1 Tbsp of loose leaf tea to the carafe, pour in hot water, pop in the strainer and sip! Filtering your water will ensure you’re minimizing exposure to toxins, like fluoride, in our water supply. 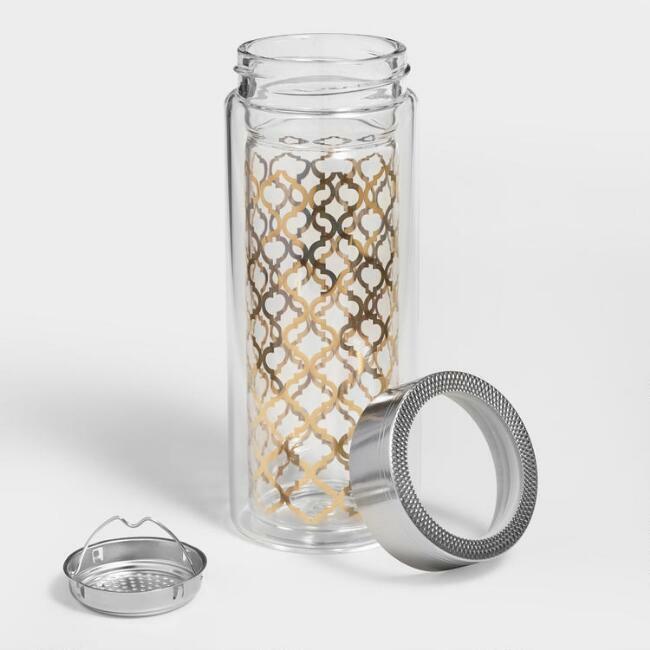 The Propur filter removes more contaminants than other brands while retaining beneficial minerals. It includes a fruit infusion tube so, if drinking plain water is a struggle, you can make your own fruit infusions! The lymphatic system is pumped by muscular contractions. A sedentary lifestyle is one of the most common ways for lymphatic flow to become congested. Jumping on a rebounder for a few minutes a day is a fun and effective away to flush cortisol, get your heart rate up and stimulate lymphatic drainage...with minimal impact on your joints!